As you all know, I love a big ol' statement earring. In fact, I believe that the bigger, the better when it comes to all jewelry, but recently designers have been stepping up their game in the clip-on earring department, my speciality since my ears aren't pierced (GASP). Perfect for big nights out or vacations, the statement earring well, makes a statement. Here are some of my favorites out right now. I'm curious as to why your ears aren't pierced---if you even have a reason. I've read that before on the blog. I remember my mom paying me to get my ears pierced when I was in grade school because she was sick of trying to figure out things to buy me! So she gave me $20 to get it done. Ha. I really enjoy your blog! I've been reading for awhile. I grew up with T.C in Chicagoland so I think I found your blog through his FB at some point, but I'm not good at commenting! My husband and I have been in Los Angeles for the past 7 years. Hey Emily, nice to meet you! The story is that I wasn't allowed to get them pierced until I was 14 and by then, I was a competitive swimmer. I never had the downtime required to recover from the piercing so I just never did. Then I just started wearing big necklaces and bracelets so it wasn't needed. Now there are fabulous clip options so I'm staying un-pierced! 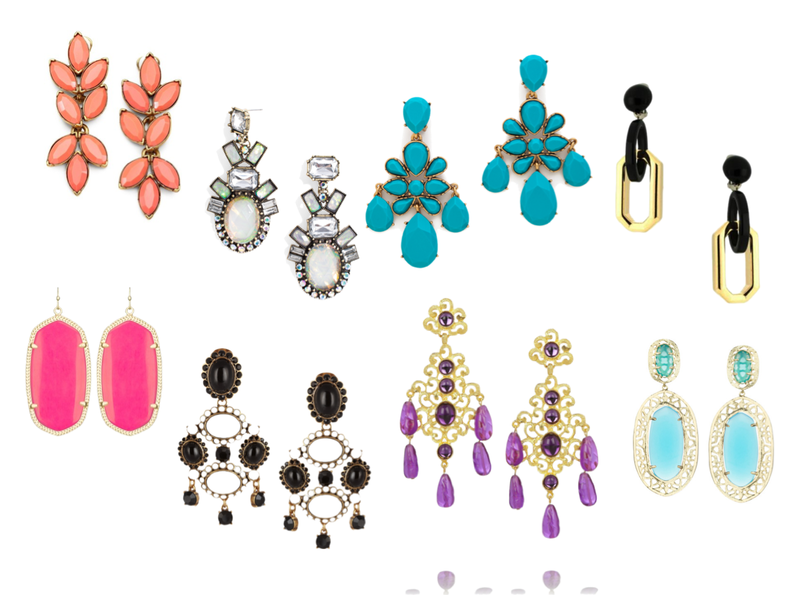 Well I love them all - but if I had to choose the Bauble Bar and Kendra Scott's Turquoise ones! The Bauble Bar and the Kendra Scott Danielle earrings are my favorite - in fact, I am wearing my favorite Kendra Scott Danielle earrings right now (the large ones in lapiz blue). Great choices! I love your tutorial and hair style. 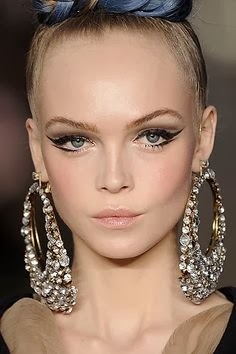 I love big earrings.It's woman necessary pleas.every like it.so see.. more..